Our phones receive a lot of notifications each day, and because we're busy people, it's hard to keep on top them. This leads to an anxiety-inducingly large number of items in notification shades everywhere, so much so that when a new alert fires, it's difficult to know which one is the most recent. Thankfully, Google has a new feature to help us out in Android Q. The way I've gone about figuring this out before is to look at the time-stamp to see which notification says 'now' by it. 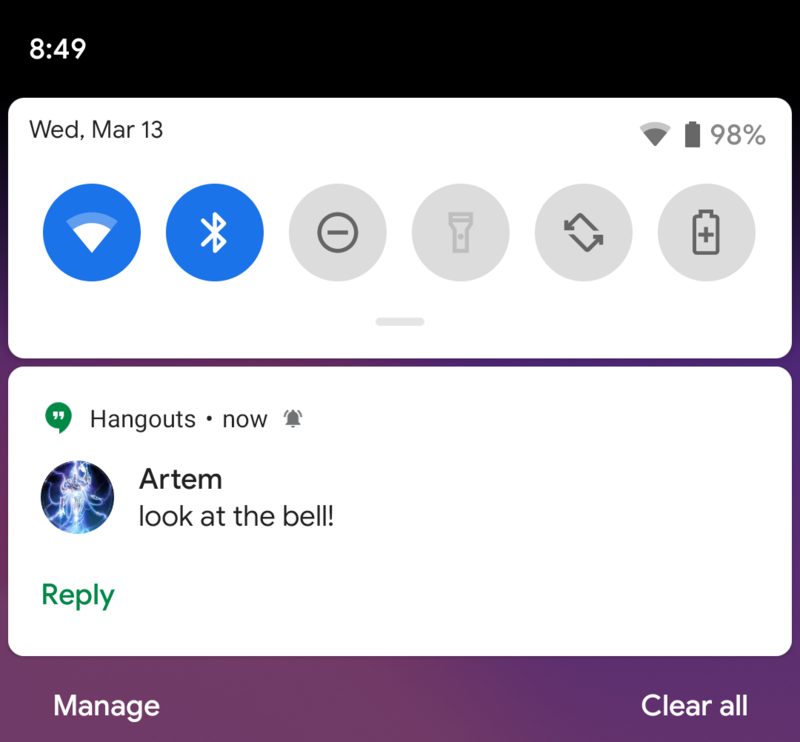 As an additional pointer, there's a little bell icon in Android Q, as you can see in the screenshot below. It only lasts for 30 seconds, whereas the 'now' will stay there for 60 seconds before changing to '1m' and so on. If you have a few notifications arrive in quick succession, this will help you determine which is the very most recent. It's a small change, but it's a pretty useful one. So far, this is only showing for one of us on a device running the Q beta (Pixel 3XL), so it may not be there for you either yet. It also appears to only work for certain notifications from certain apps right now. Hopefully, it will work consistently for everyone and everything down the line.